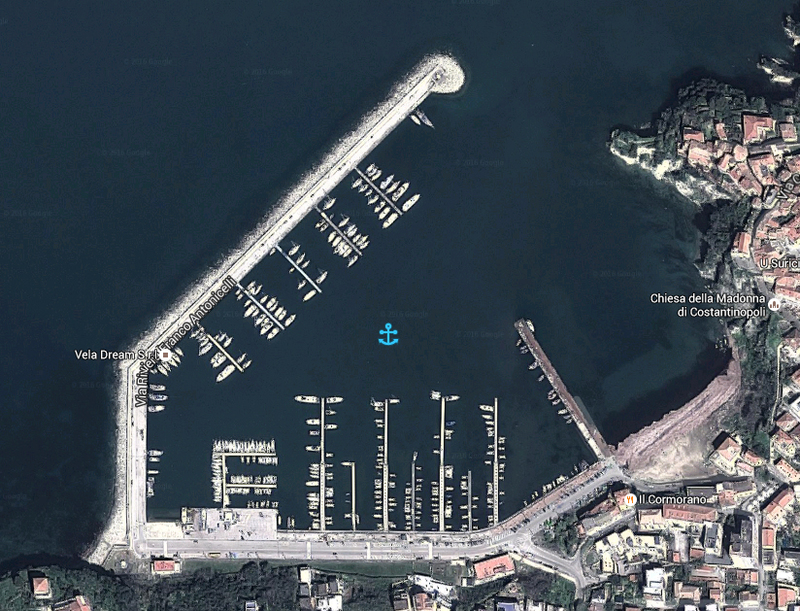 The point of the port of Agropoli strength is certainly its central location near the beach of the Bay of Trentova and the protected marine area of ​​Santa Maria di Castellabate which leads to Punta Licosa, wonderful places to enjoy the sea. Identified as marine area retrieval by Law no. 394 of 1991, Art. 36 (Suppl. Ordinary Official Gazette no. 292, 13.12.1991) and Established by D.M. 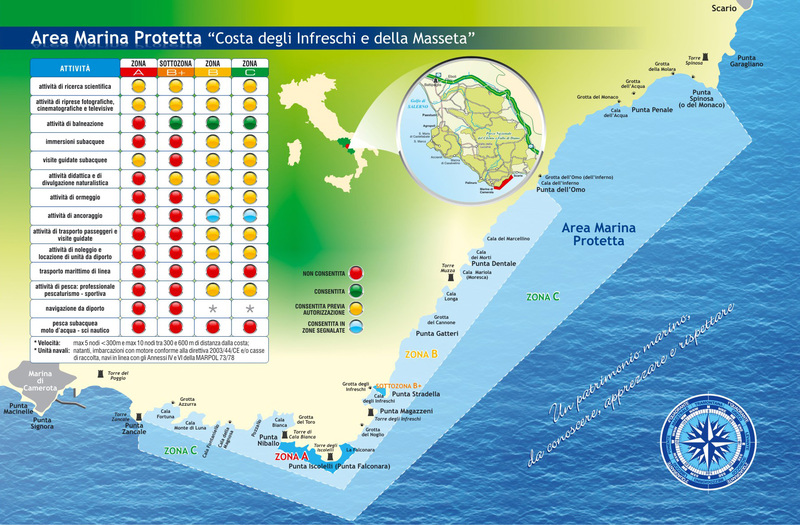 of 21.10.2009 (OJ n. 82 of 04.09.2010) the protected marine area of ​​Santa Maria di Castellabate covers an area of ​​7,094 hectares at sea entirely falls within the municipality of Castellabate (SA), between the tip and Ogliastro Baia del Sauco (northern border with the town of Agropoli). The seabed is characterized by prairies of oceanic Posidonia, ravines and caves where they live moray eels, grouper, octopus, sea bream and lobsters. The flora consists of extensive seagrass meadows, vidalia and sea tree, while the fauna includes various species of fish and dolphins. 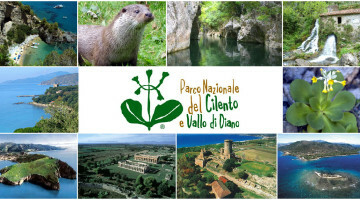 The area is also defined by the Project Bioitaly a Site of Community Importance (SCI). From Tower of Zancale in Scario covers a beautiful stretch of coast characterized by a degree of unique environmental heterogeneity. 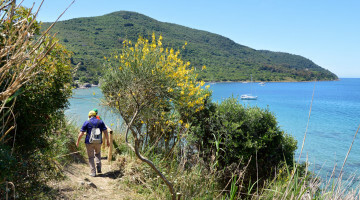 Within a few kilometers of a suitably rugged coastline concentrate inlets, coves, beaches, bays, submarine springs, all framed by the Mediterranean scrub, olive groves and vineyards and valuable endemic species such as Primula Palinuri. Numerous testimonies of human settlements that make the area even more attractive, with its medieval towers to the prehistoric caves with archaeological remains of Homo Camerotaensis. Not to mention the intangible traces or tales and legends that crowd the Infreschi: famous shipwrecks like the one of a fleet of Emperor Octavian and the haunting song of the sirens. 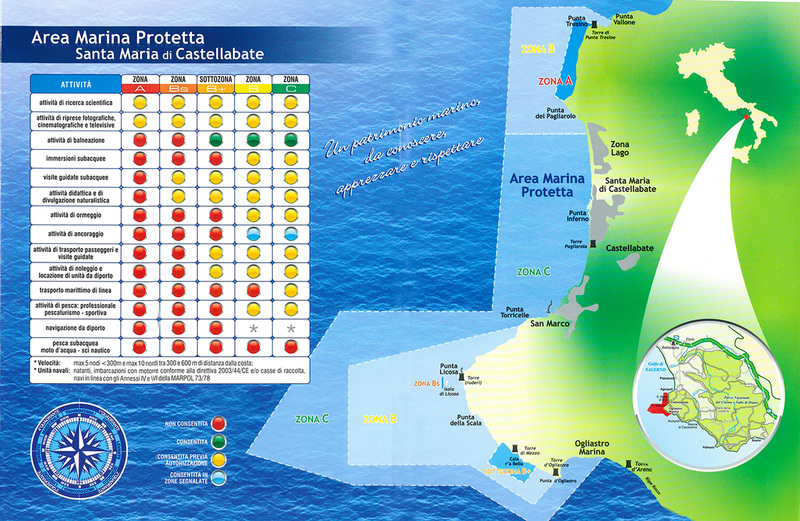 The protection and enhancement of this unique heritage has led to the establishment of the marine protected. 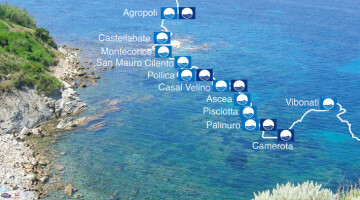 Blue Grotto Cave Noglio, Cala Bianca, Cave Infreschi, the pool of Icolelli, the Santa Caterina spring, the Chapel of St. Lazarus, the beaches Masseta, the natural botanical garden of Marcellino, just some of the stages to discover a veritable paradise. Boat trips leave daily in the main tourist resorts in the area.